The Klio, the Kolios, the Synchro, My God! An Alphax, a Betax, my head’s feeling odd! The Rapax, the Ilex – I’m awake until dawn! A dirty old Victor whose pistons won’t start. Or is it just three? And – yes, oh, so German – the Compur just purrs. The Kodak’s Ball Bearing, the Thornton’s a blind! It’s so complicated, oh, when will it stop? I don’t want to choose one – I’ll just use my hat! 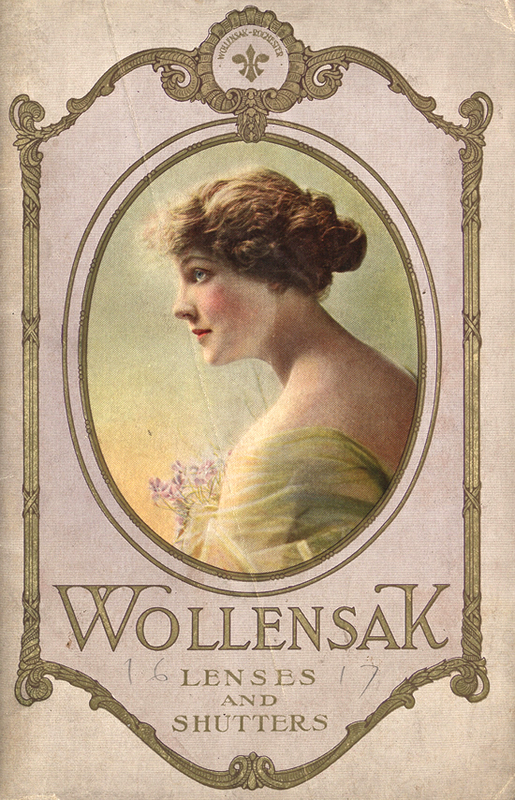 Back in 1913, life was simple. Oh, you died if you got tuberculosis, they gave you arsenic for syphilis, women couldn’t vote, and you starved when you lost your job, but you never had to sort through the hordes of clockwork shutters that proliferated later in the twentieth century. There was one really good shutter – the Compur – and a few simple ones with no slow speeds. 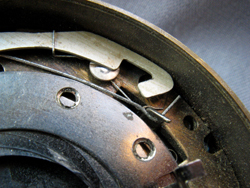 You never had to sort out a Copal from a Bolsey from a Prontor – or maybe you don’t care, but then you wouldn’t be reading this!. The list of twentieth century leaf shutters with clockwork, Ilex-type delay escapements really is daunting and confusing. Furthermore, most of us really do not understand how shutters work. The article will give examples of the workings of two shutter types – one simple, one expensive and complex, then attempt to organize and make sense of the many names that float around when between-the-lens shutters are discussed. My focus here is on the operation of clockwork shutters, about which amazingly little is written in the contemporary literature. In the early part of the twentieth century, this would have been a common topic in books on camera repair; unfortunately, most of these publications are moldering away in basements and not readily available. 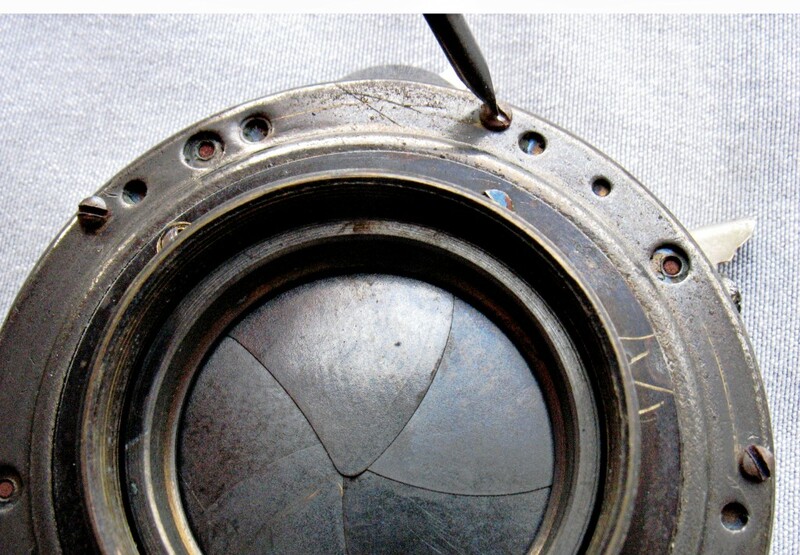 Let us start by examining one of the most classic shutters of the early 20th century: the Kodak Ball Bearing Shutter. 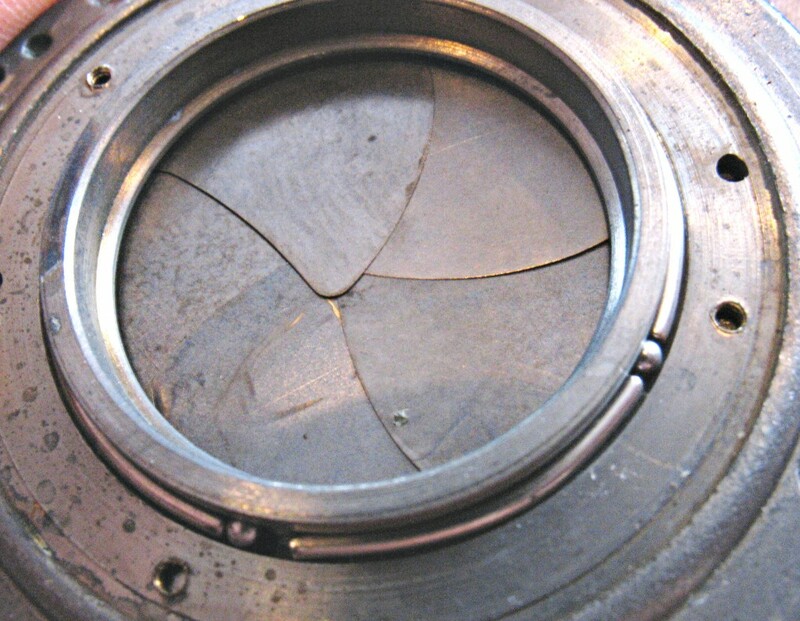 Two excellent articles describe in detail the disassembly and cleaning of Ball Bearing Shutters (see Infotech and P. Huego references). on spring tension to vary shutter speeds. Like many of the early BB shutters, the “T” and “B” settings are located between the shutter speed settings on the top speed selector dial. Removing Screws Holding the Front Plate. Five Shutter Blades Visible from the Back. so that they can be reassembled onto the underlying pins in the shutter mechanism. 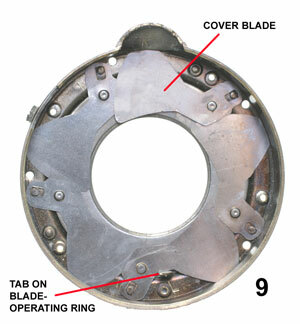 Note that the five shutter blades are visible once the rear element is removed. Be careful not to get fingerprints on the blades, as the oils from your skin can be corrosive over time. shutter via the C-shaped shutter activating lever that curves around the periphery of the mechanism. 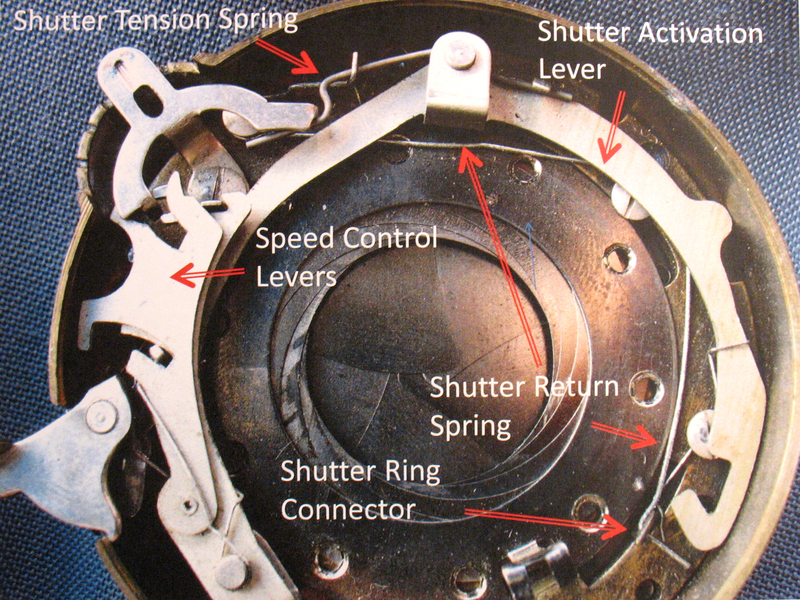 The shutter blades are activated by a shutter ring that lies between the blades and the aperture assembly (lying beneath the aperture mechanism, it is not visible in this image, ). Each blade has a fixed pivot together with a small post that fits into a slot on the shutter ring. 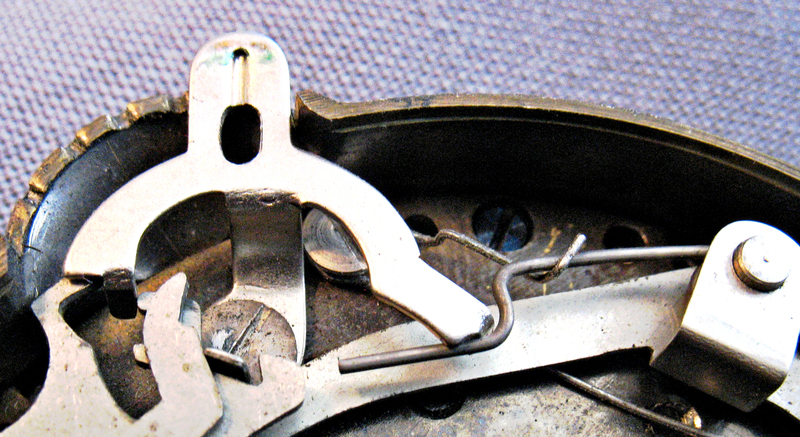 Opening the shutter is accomplished by rotating the ring; each blade then swings around on its pivot, dragged by the movement of the post as it slides within its slot on the ring. Kodak Ball Bearing Shutter Overall Operation from RAND COLLINS on Vimeo. Activating the Shutter Blades with the Shutter Ring Connector Post from RAND COLLINS on Vimeo. Shutter Spring Tension 1/100 Sec. Shutter Control Levers at 1/25 sec. from RAND COLLINS on Vimeo. 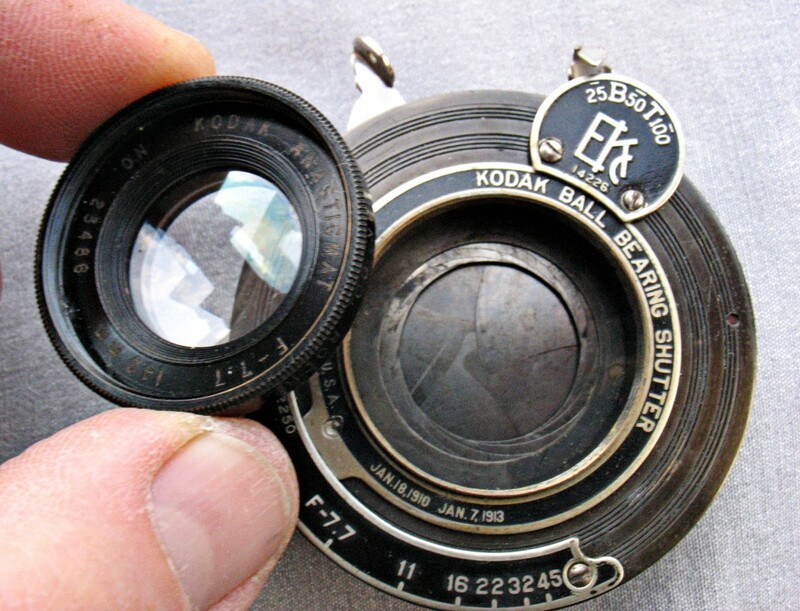 Kodak BB Shutter: Detail of Function of Speed Control Levers on “B” Setting from RAND COLLINS on Vimeo. 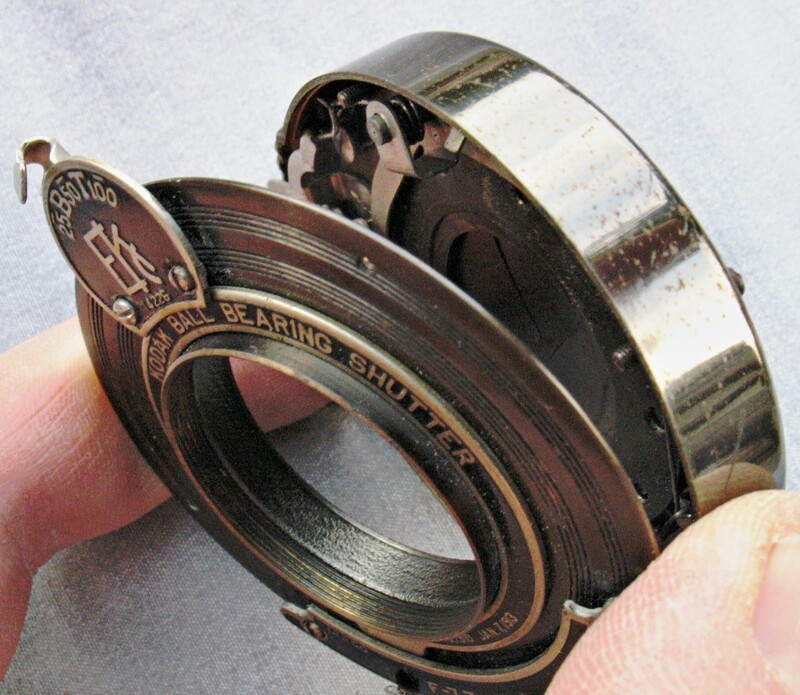 Kodak BB Shutter: Close-up of Shutter Ring Held Open in T and B Positions from RAND COLLINS on Vimeo. Releasing the shutter lever frees the shutter activation lever to return to its resting position, allowing the blades to snap shut. Function of Shutter Control Levers on “T” Setting from RAND COLLINS on Vimeo. 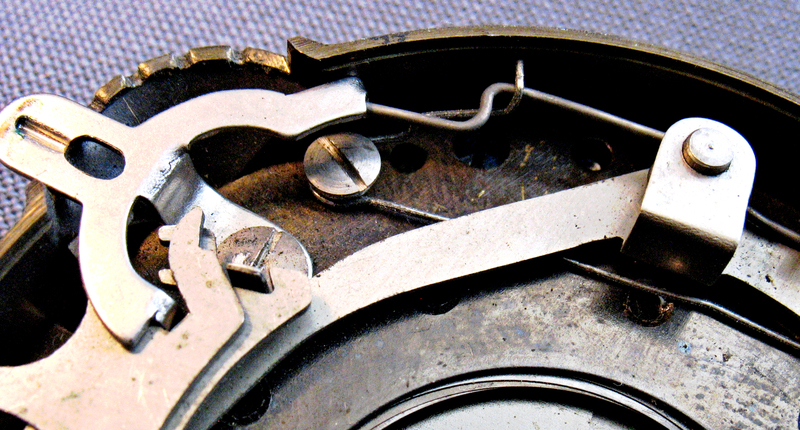 The action of the distal end of the shutter control lever is the same as on the “B” setting, with the shutter ring post caught at the end of its travel with the blades open (see above). Huego, P. Kodak Ball Bearing Shutter. http://www.vintage-camera-repair.info/ball%20bearing%20shutter.htm. Infotech posting. “Kodak Ball Bearing Shutter.” http://www.Infotech posting. 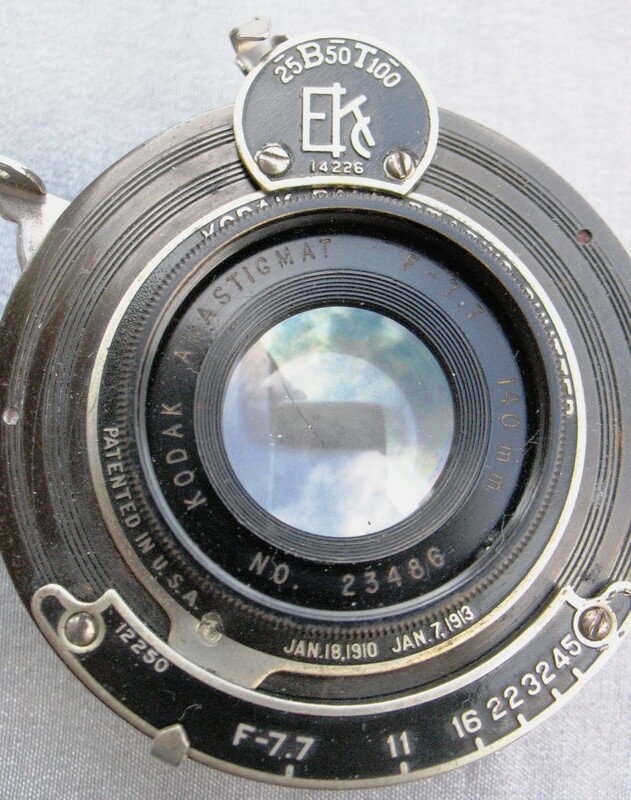 “Kodak Ball Bearing Shutter.” http://www.vintage-camera-repair.info/ball%20bearing%20shutter.htm. This entry was posted in Shutters by randcollins. Bookmark the permalink. How did you get the shutter assembly off of the camera? I’m a little scared to apply too much force. 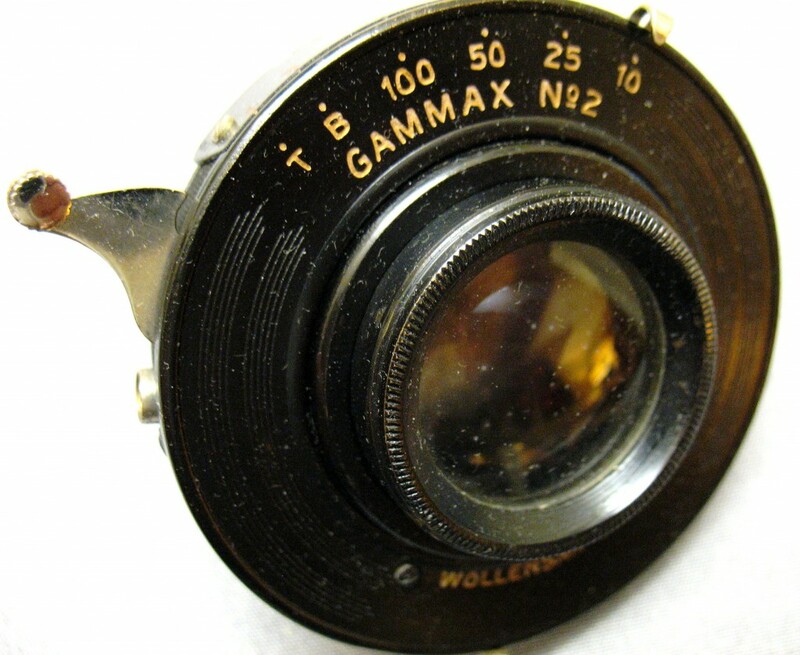 In most cases, there is too much front hardware to allow the lens to be removed by just rotating it, and it is necessary to remove the rear retaining ring.